It is time to go on the offense and take the fight on to the alien motherships. Perhaps you've seen these enormous ships flying across the sky from time to time. 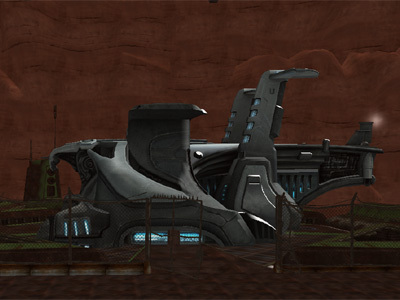 These missions can provide players with an alternative way to gain AXP. There is no level restriction to the missions, nor is there a lock to the amount of missions you can complete. Your only restriction is that you have to be teamed with at least one other person in your teaming range to be able to retrieve a mission. 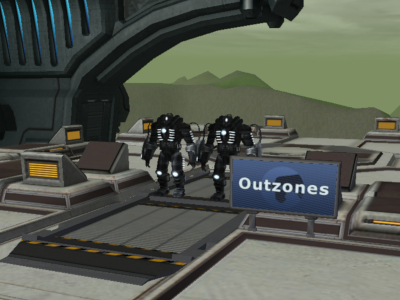 To start these missions, you'll need to go to the Unicorn Outpost in the Outerzones. To reach the Unicorn Outpost go to ICC and in the Transport room, click the button in the back that takes you to the roof. Once up there you will see a sign saying "Outerzones" and two Unicorns there. Take the doors just past them to the West. Once inside, you need to locate the Unicorn Recruiter at the bottom of the stairs under the tent. He is marked on the on the Saavick built in map below. 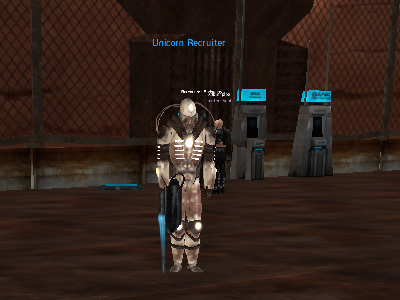 Once you are at the Unicorn Recruiter, and you are in a team -- speak with him to receive your mission. He will only give you mission if you're currently in a team. You will have 3 difficulty options. Easy and medium missions appear to have a much lower VP item drop %. A hard mission can however be quite difficult. Keep in mind the level of your team when pulling. 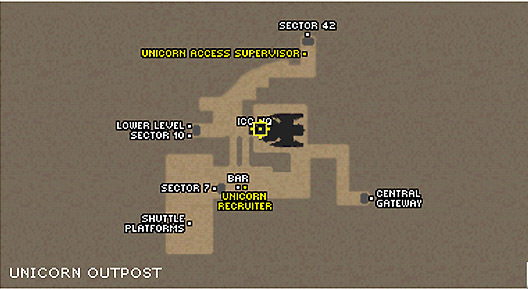 A shuttle that will take you to the mothership is just west of the Unicorn Recruiter. 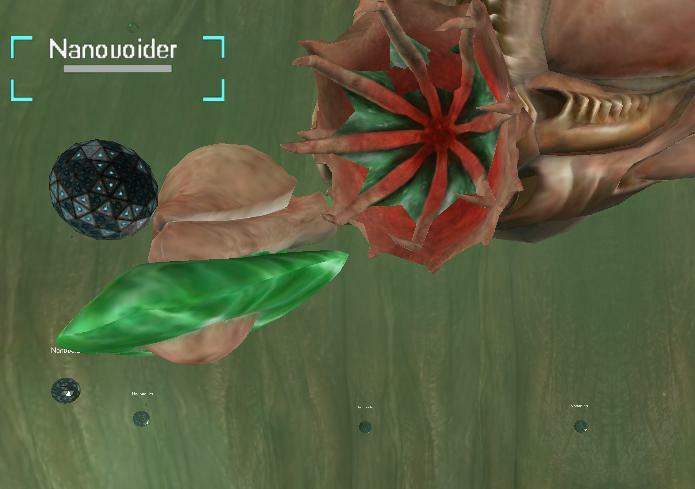 There are many different bosses in the alien missions, with 2 distinct rooms. One of the rooms has a boss who is a master of "x". This one is surrounded by 2 healing towers. Killing the towers first is a good idea. On killing the towers, they do not re-spawn. If you ignore the towers, they will keep healing the main boss. This one is particularly nasty. 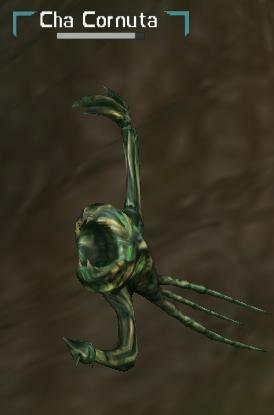 At certain points in the fight, it will spew out automated defenses. These, when aggroed, will send a small laser targetting the groud beneath a player, which will eventually be followed by a nuke. You can see where this laser is, on the groud, this is where the nuke will land (it will take a few seconds). Once you spot it, have your team get away from that spot. If you keep doing this, the boss should be no problem. You'll just have to stay alert. This is a funny one. His special attack is Alien Mind Warp. This will basically rendor your team unable to take any action. However, not only will you not be able to do anything, the whole team will /disco. The master of silence is surrounded by mobs called Nanovoids that drain the team's nano. It is of no use to kill them as they respawn really quickly. Some will also spawn close to the button, so having your doc stay there is useless. Keep an eye on the doc, and make sure he has nano to heal the team. 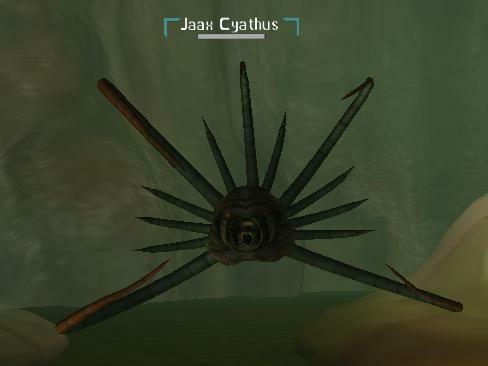 This boss also has a stun, so you'll need to watch out for that also. 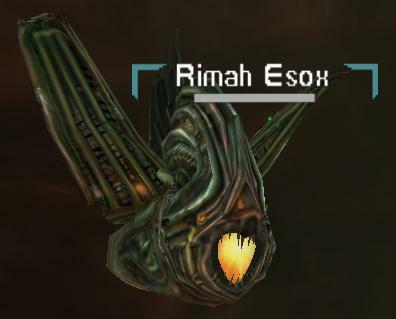 This boss really ressembles the Master of Silence. He is however not surrounded by the Nanovoid globes. Instead, he himself drains the team's nano. The second style of boss room is the cocoon room. Here you will have a cocoon attendant that you will have to get rid of. 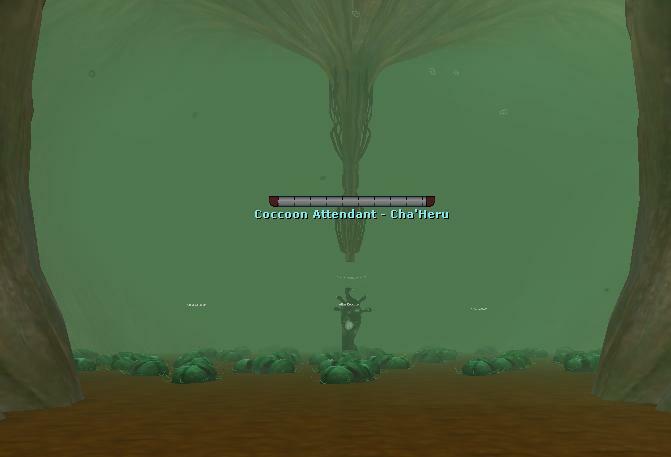 The cocoons will also spawn adds when you attack them. The good thing about this boss room is that even when you finish off the attendant, the cocoons are still available to spawn, so you can kill them all for maximum axp. One of the cocoons will have the Cocoon Accelerator. This is the real boss, and he will drop the good loot. 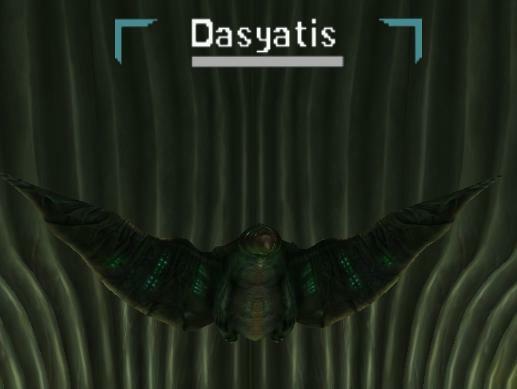 The Dasyatis is the nuker of the bunch. Watch it if you have squishies in your team. Cyathus are the hard hitters. Beware of these aliens as they are quite strong and can quickly send your tank to reclaim. The Oneirides are the nano casters of the bunch. This is their only method for attacking. The loot in these missions will be used to gain Victory Points. There are 3 kinds of Victory Points loot. Each of them come in different QLs. Generally, the higher the ql, the higher the amount of VP. The exact number of VP gained still has some randomness to it and generally, with a ql 10 clump vs a ql 200 clump, you will get more vp for the 200. The bosses will also drop a typed bio-material. These new typed bios will be used to upgrade the new LE equipment. Upon completing the mission, you also receive a mission token, which will help everyone upgrade their token board.